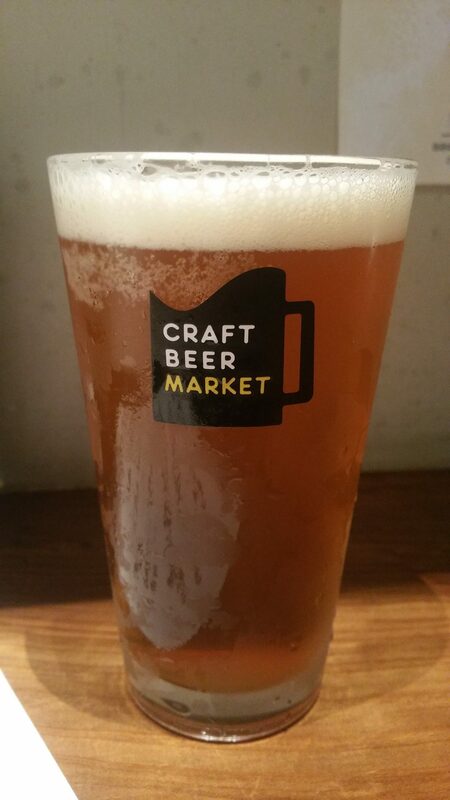 Kobushi Hana Strong IPA is a 7.5% English IPA from Hanyu Brewery, based in Saitama, Japan. It’s part of their draft only range and that’s about it for all we could out about this beer. 7.5% and packs in the malt. I initially thought this was a mistake. Hanyu Brewery make the Kobushi Hana IPA and I found that to be quite malty, more of an English IPA and so did some of the comments. However, Kobushi Hana Strong IPA isn’t a mistake and it is actually a different beer to that. It’s noticeable straight away that Hanyu Brewery have ramped up the malts and hops, with a strong piney biscuit aroma coming off of it, with hints of caramel floating along as well. It was most definitely an English IPA influence beer as the malts did not let up. The body was more of the same – perhaps bars should label what kind of IPA or pale ale to expect in the future, as I can imagine some people ordering this and being put off by it. If you like your malts, and hops, then you’ll be right at home with Kobushi Hana Strong IPA. It’s unashamedly malt forward with a large smucker of piney bitterness to follow up. At 7.5%, it’s dangerously deceptive as well as the alcohol is well-hidden behind the sweet burnt caramel flavours, and sticky lacing to it. The aftertaste of piney residue was only overcome by the malt forwardness of the beer. If you’re looking for a good example of an English IPA, then Kobushi Hana Strong IPA will be right up your street. Just be careful with the 7.5% though as it will get you drunk if you’re not careful.